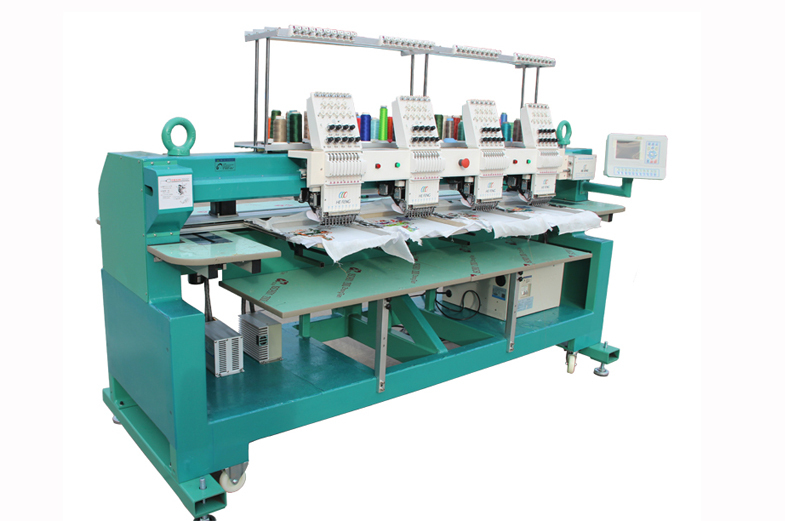 (2) multi-head embroidery machines. BWA Embroidery can embroider a full commercial range of garments as well as bags, towels, caps, hats and uniforms. Design Creation is the first thing that we need before we can screen print a design. This can begin as a sketch or a combination of clip art pictures and text. After our customer has finalised and approved the artwork or design. BWA Promotions is your one stop shop for all your specialised clothing with its own in-house Embroidery Machines. and is building on the number of options that we can offer our existing clients and new customers. BWA Embroidery has the ability to embroider a full commercial range of garments as well as bags, towels, caps, hats and uniforms. We also manufacture cloth badges which can be sewn onto garments, and offer a substantial range of thread colours . BWA Promotions has access to an extensive range of high-quality brands including Bisley, DNC, Bocini, Stencil, Winning Spirit, Biz Collection, Gear for Life, Ramo, JBS sportswear, and Australian Spirit just to name a few. Whether you need something for your business, organization, school, or family function we will work with you to develop and refine your ideas in order to produce a quality screen printed product. To help you understand the screen printing process we have put together a brief outline of the screen printing. Design Creation – The first thing that we need before we can screen print is a design. This design can begin as a sketch or can be the combination of various clip art pictures and text. After our customer has finalised and approved the artwork or design. Film Production – Once we have suitable artwork we then create a film positive. This is by taking a picture of the artwork with a camera which produces a positive which looks like a transparency used with overhead projectors. Once we have our film positives we can then create our screens. Screen Creation – The first thing that we do is take a screen which has a very fine mesh fabric attached and apply a special light sensitive material called emulsion. When exposed to light the emulsion that is not covered by the black areas of the positive becomes hard. It is removed from the light unit and is then washed so that the soft emulsion can be removed exposing the mesh holes. We then let the screen dry and we are ready to set the screen up on the press. 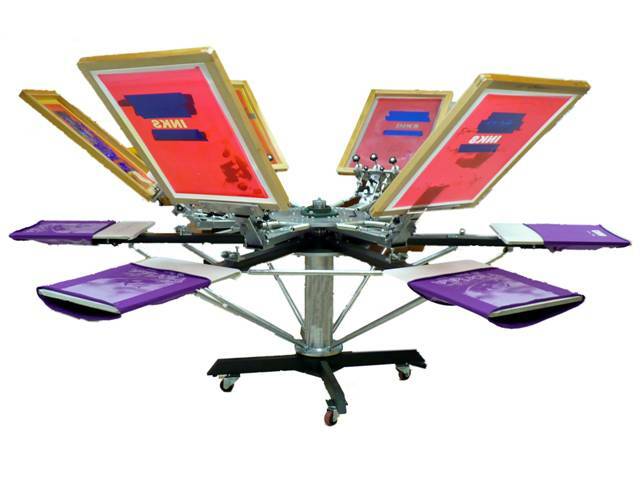 Press Set-up – Once we have good quality screens containing the image we are then ready to set them up on our press. If the design involves multiple colours we set each screen to one of the stations and register each one so that each colour of the design lines ups. Once we have all of our screens registered we place ink on each screen. 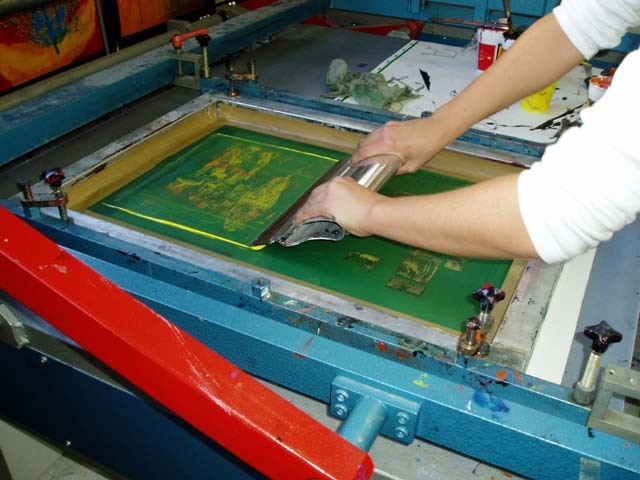 Printing – If our artwork, screens, and press set-up is good the printing is the easy part. Each garment is placed on one of the stations of the rotary press and each colour of the design is applied. After all of the colours are applied the garment is removed and places on a conveyor dryer so that the ink can be cured. Once cured, the garments are boxed and are ready for delivery to our customers. BWA Promotions Graphic Department – Creating Clean Artwork and Design for Screen Printing with our specialised software. There are lots of ways to create art for screen printing. But the vast majority of the artwork we use for screen printing t-shirts is made on the computer using specialised software programs. 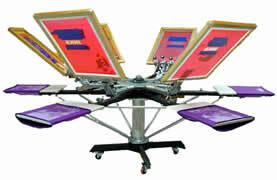 Preparing artwork for screen printing is different from any other type of design. Even professional graphic designers sometimes have trouble with it. So here’s a quick primer on how we at BWA create artwork that’s clean and screen-print-ready use. The original artwork is super important because it is used to create the transparency which is used to make the screen which the ink physically passes through to create the print on the final t-shirt. But it all starts with the original design. Our goal when creating artwork for screen printing is to make a design that contains a single compound path/shape for each color of ink you want printed. This is necessary to make transparencies which accurately reflects the artwork. We select each color, change the fill color to black and print it. So, removing clipping paths, strokes, and/or unnecessary colors is important. BWA Promotions takes pride in using only the best and most cost effective services when it comes to promoting your brand; you will find our embroidery and screen printing options to be of the highest quality. If you’re looking for the perfect gift to reward your clients or to promote your business. More information Required on ?